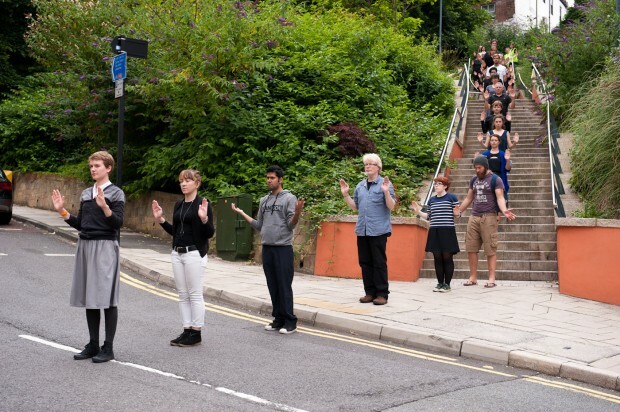 An explorative, expressive, head-turning city centre parade. 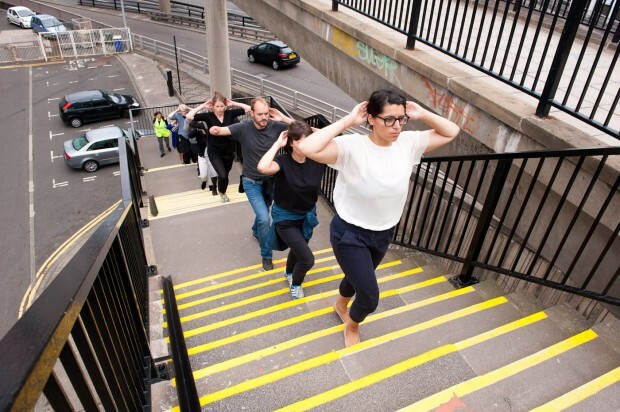 With Nicola Singh and xsite architecture. 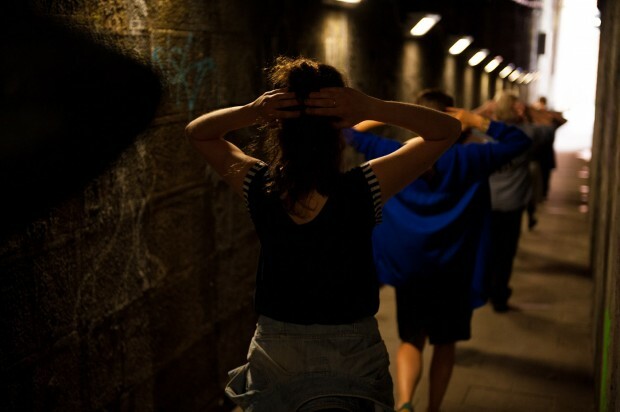 Choreographed in collaboration with Harriet Plewis. 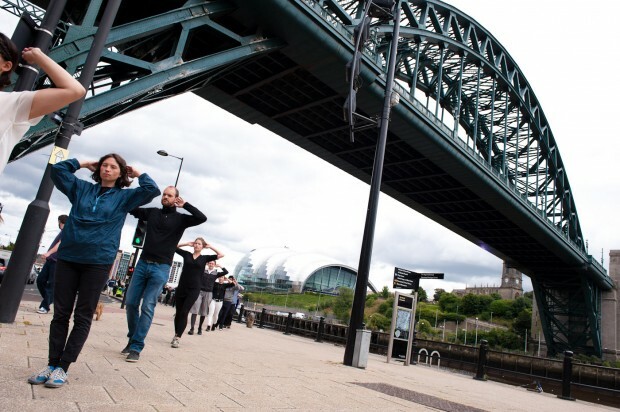 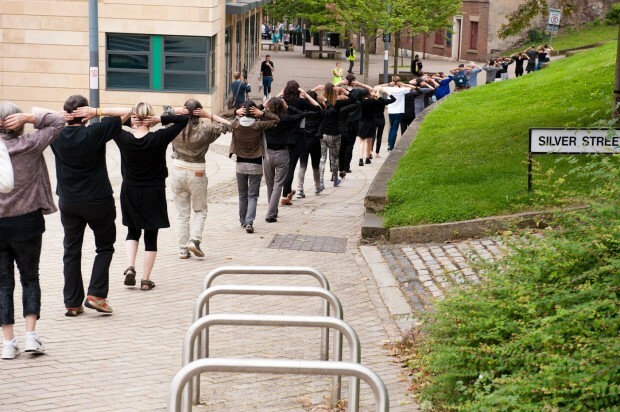 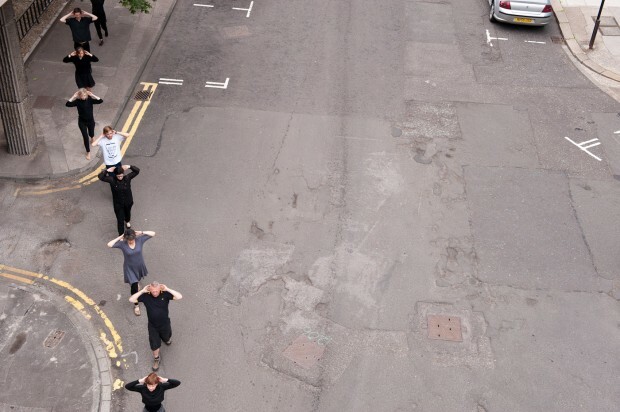 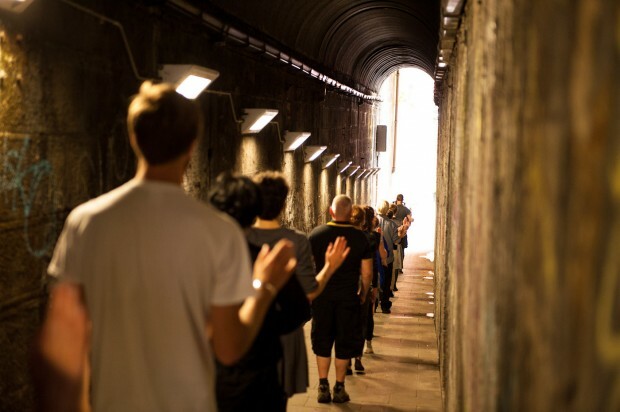 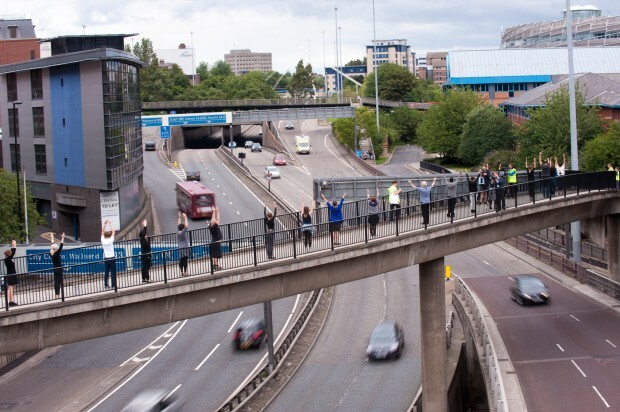 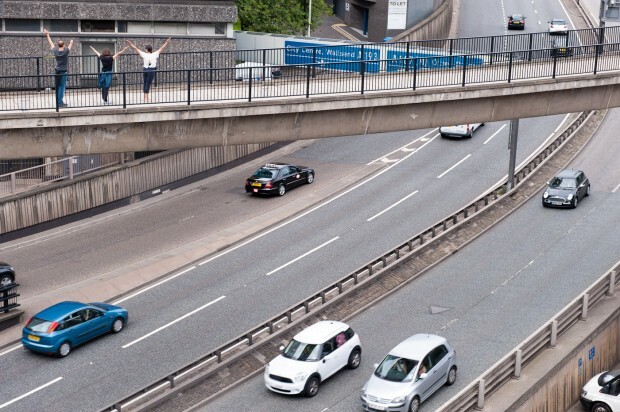 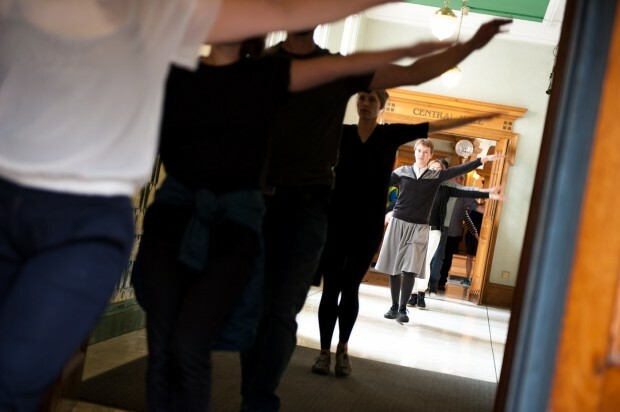 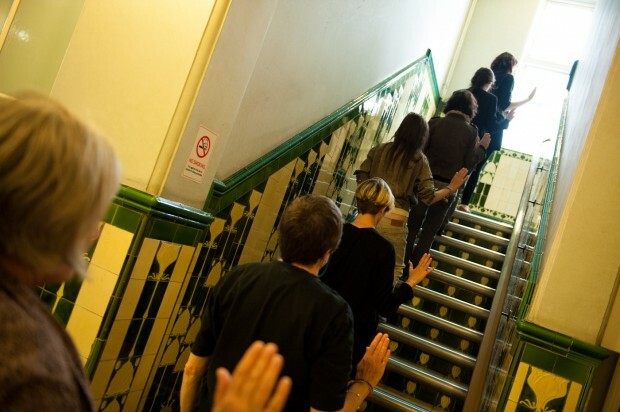 On Saturday 10 August 2013, forty volunteer participants processed through Newcastle city centre performing a series of simple, synchronised gestures. 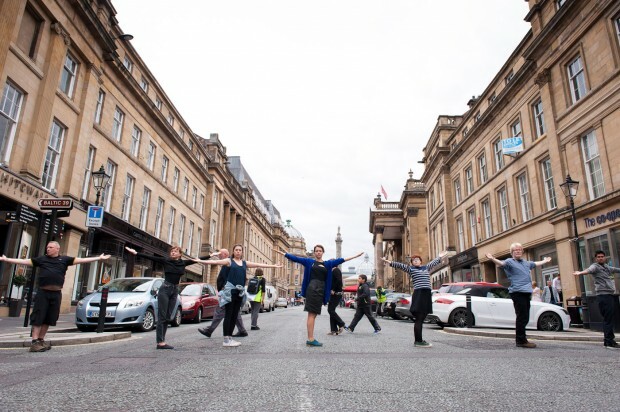 The parade brought Newcastle’s busy city centre to a standstill as it wended its way through open public spaces, into buildings, up and down stairwells and across roads. 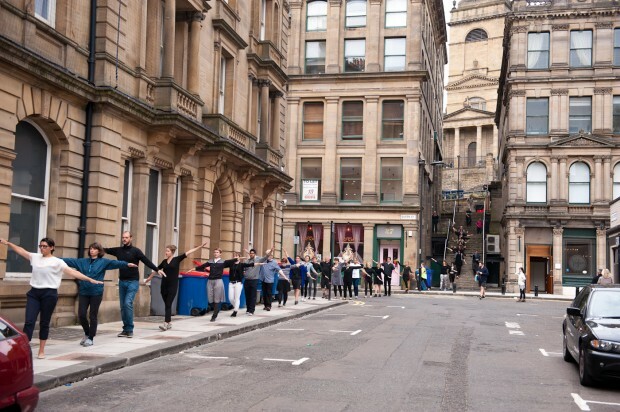 The route was designed to highlight the inherent performativity of public and private space. 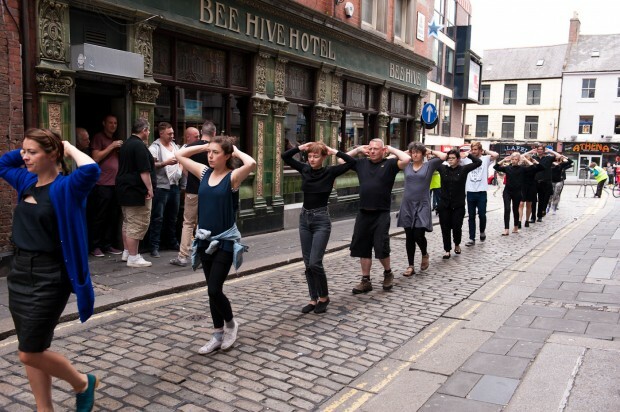 We Stand Out The Most When We Stand Together powerfully explored the expressive power of the parade to act as a vehicle for communication and solidarity and as a platform for creative collaboration. 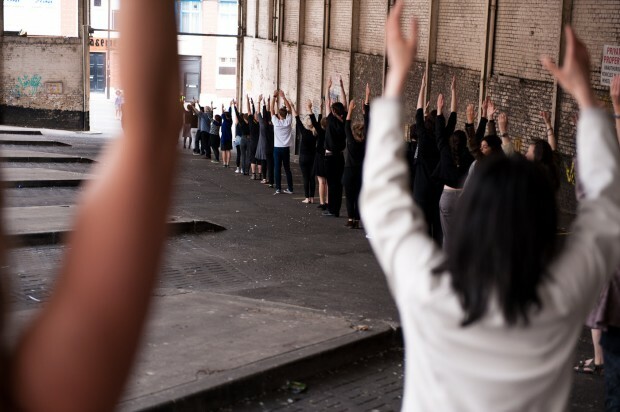 All the participants signed up in advanced and rehearsed in the Boiler Shop – check out the footage of their rehearsal below.